The OIE is aware that the quality of veterinary education varies greatly around the world and notes, with concern, the inadequacy of veterinary education in the majority of OIE Member Countries. The provision of high quality veterinary education is key to equipping potential veterinarians with the necessary knowledge to perform efficiently and to support veterinary services effectively. 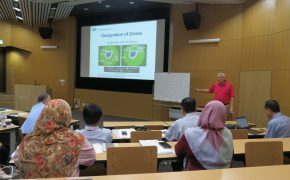 Therefore, the OIE Regional Representation for Asia and the Pacific is preparing to hold the Regional Workshop for Veterinary Education Establishments (VEEs) and Veterinary Statutory Bodies (VSBs) on 19-20 November in Tokyo. You can participate in the meeting as a observer and work as supporting staff for the meeting logistic. Also, you can participate the International Conference on Veterinary Eligibility and Education on 21-22 November in Tokyo. 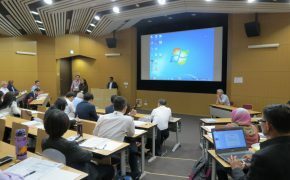 Interns are to learn about the role of OIE and how OIE international meetings are organised by participating the Regional Workshop for Veterinary Education Establishments (VEEs) and Veterinary Statutory Bodies (VSBs) on 19-20 November 2018 in Tokyo as secretariat staff as well as observers. Also interns will participate the Japanese Society of Veterinary Services (JSVS) International Conference and the Asian Associated of Veterinary Schools (AAVS) Annual Meeting on 21-22 November 2018 in Tokyo. In addition, interns will be given lectures on OIE activities by staff of OIE Regional Representation for Asia and the Pacific.